This is a viral photo of a couple on their wedding day. 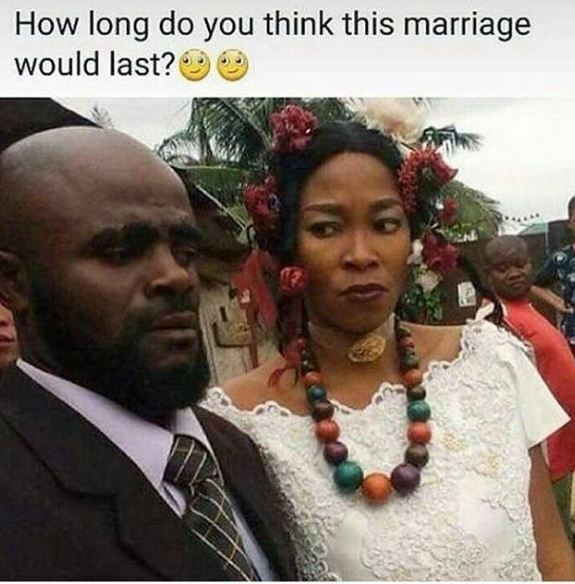 The man looks scared while the lady looks threatening. The question is how long do you think they will last together?